Just pinning this here so if anyone else has discovered the cure for some obscure glitch it might be helpful to someone else. World map won't pan south. Nocking an arrow minimizes Skyrim and shows desktop. I don't know how this setting got into my .ini, but each time I reinstalled using STEP, this setting came back and had the same result. It is probably a load-order specific glitch since I have only seen it reported once or twice and no solutions were given. Vampires, and (seemingly) random other hostiles won't attack. 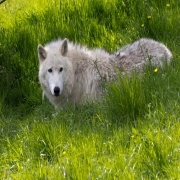 Player is in the WolfFaction. Due to Skyrim's glitchiness and perhaps modders being unaware of the consequences of not removing players from this faction during uninstall, the player can be stuck with hostiles being friendly and friendlies being hostile. The UESP Wiki pages concerning factions show combat reactions of factions to other factions, but because of the layout and infinite combinations of factions, it would be impossible to list all the possible culprits for similar such issues. The best a player can do, as there is no way to currently see all the factions one belongs to at a glance, is to note who is hostile and who is not and try the process of elimination. Other factions to look at might be vampire thrall and the Dawnguard versions of vampire and vampire thrall factions. The Dawnguard vampire faction has different allies than the vanilla faction. Please note, the use of the addtofaction command is not intuitive. It is not 0 for out and 1 for in. It is -1 for out and 1 for in. Also, you must use player.addtofaction to remove yourself from a faction; otherwise, the command only works to add/remove NPCs from factions. Place all items into a container; quest items shouldn't weigh anything, so don't worry about not being able to drop them. I found this after searching google. Posted by someone named tropicana jones on the nexus forums, who figured it out from reading the Creation Kit wiki. This works if your inventory weight is too high or too low. Sometimes your inventory weight does not match your inventory. I've had that happen a number of times on my current playthrough. Dropping all of my inventory items into a chest (I have mods that remove quest item status from all vanilla, and DLC quest items so I can drop them too), and then "player.showinventry". This will show you what is causing the inventory weight discrepancy. There is always items listed as being in my inventory even when my inventory menu shows that I am carrying nothing. player.remove item <itemid> for every item (they are all listed with their IDs in the show inventory results) until you are actually carrying nothing, and this always gets my weight down to zero. I have never been under weight before though so I wouldn't even be able to guess what caused that. I went looking for it because my inventory weight was -103. I had a lot of strange things in my inventory related to hearthfires home upgrades (eg. sawn logs). After I did the showinventory command and removed all of the items, that was when I dropped everything else to see if my encumbrance would be affected. I can't guarantee that was the cause, since one would think 51 sawn logs would weigh more than 103 units alone and that wasn't the only thing I removed. Depending on how they work, mods which add weight to normally weightless items like gold and soulgems may also cause this, especially if they are added/removed mid-game. Also, I added some clothes to my inventory from the console. The weight was added up, but the item wasn't there in my inventory. I changed the title of this thread because I realized tonight I have forgotten some of the most basic causes for common issues. If "Is CharGen Face Preset" is ticked in CK it will stop all FaceGen exports.